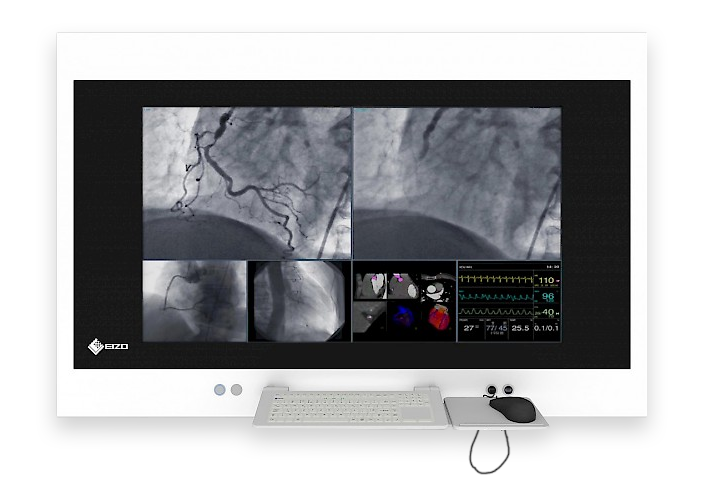 The Surgical PACS viewer offers an integrated 46inch monitor with built in IT and video management components. The Surgical PACS viewer is a flexible digital viewing system which is integrated into the hospital’s IT structure for full access to PACS and HIS. The 46inch display provide the surgical team with a perfect view from remote locations in the operating theatre and can also be split to offer access to multiple programs simultaneous allowing for an efficient workflow.